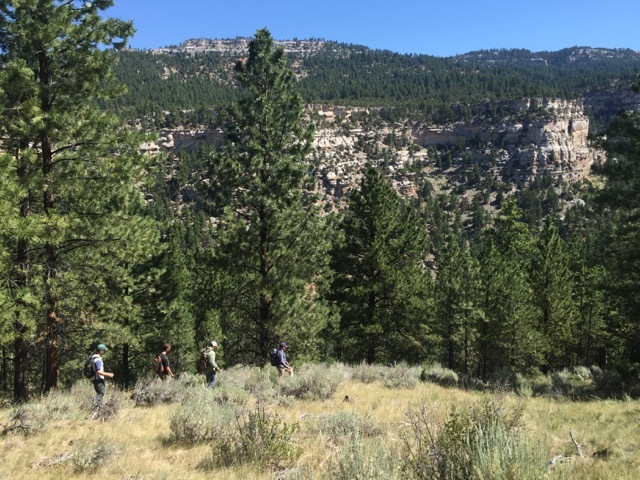 Are you planning research in the mountain west this summer? We should talk. There are lots of ways to fund your summer research, but none like this. Proposed research can be independent or as part of an existing internship experience and products could include scientific or popular publications, technical reports, or even a business plan. Please come talk to us about what’s possible. The Ucross High Plains Stewardship Initiative (UHPSI) invites students to apply for research fellowships for the 2016 summer field season. The Western Research Fellowship (WRF) seeks applicants interested in issues pertinent to land management in the Rocky Mountain West. Ideal proposals will target high-impact biophysical or social questions with management implications for private land management in the West. In addition to a generous financial award, fellows will be given access to a broad network of partner organizations and properties across the mountain west, as well as technical, logistical, and publication support. We’ll be hosting an informational session for students interested in the Western Research Fellowship and the Ranch Crew on Monday February 6th at 4:30.